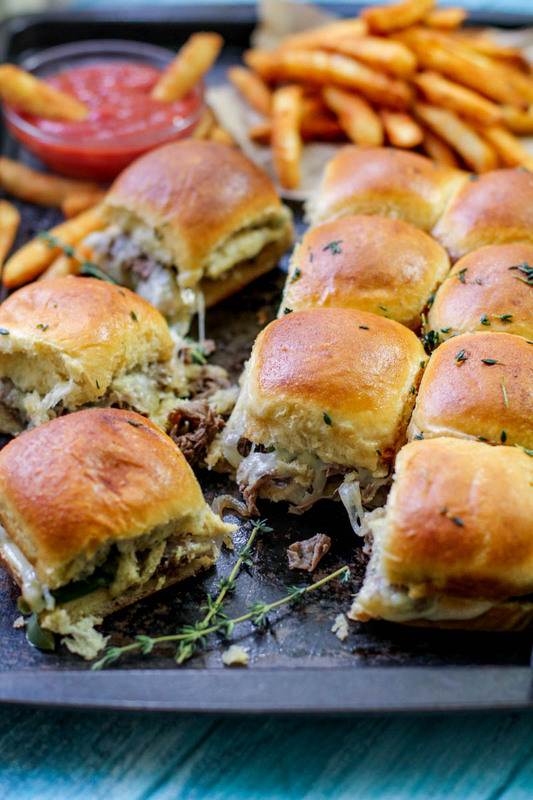 These tasty Philly Cheesesteak Sliders make the perfect appetizer for game days or your next gathering! 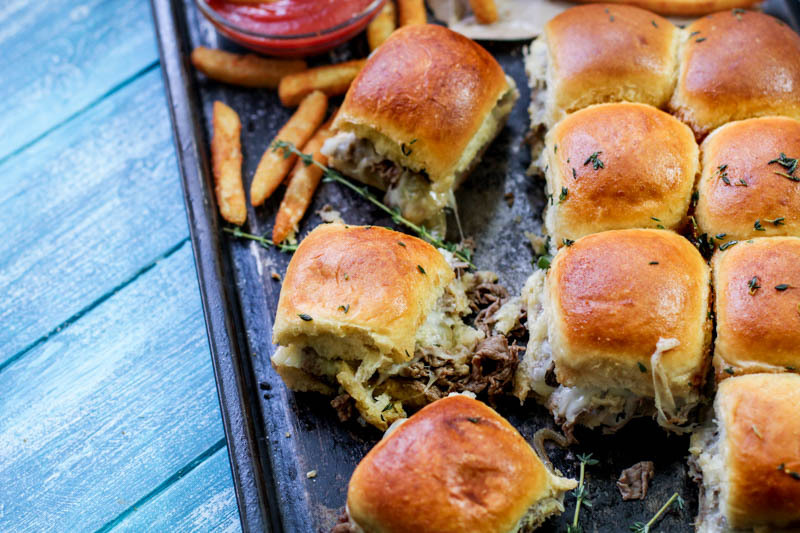 If you’re a fan of cheesesteaks, or hand-held appetizers, these tasty Philly Cheesesteak Sliders should be added to your party menu. If you follow me on social media, you likely know that I live in Central Pennsylvania not far from the city of Philadelphia. Philly is one of my favorite cities to visit. Not only are the people friendly, the city is rich with history and the food is AMAZING. And if you have ever visited Philadelphia you likely tried, or at least heard of, Philly’s famous cheesesteaks. If you have no clue what I’m talking about, a Philly Cheesesteak is basically thinly sliced ribeye steak cooked to perfection, topped with whiz (AKA Cheese Whiz), in a roll. You can also order it with provolone cheese and add caramelized onions and/or peppers. Three basic ingredients that produce a slice of Philly food heaven . 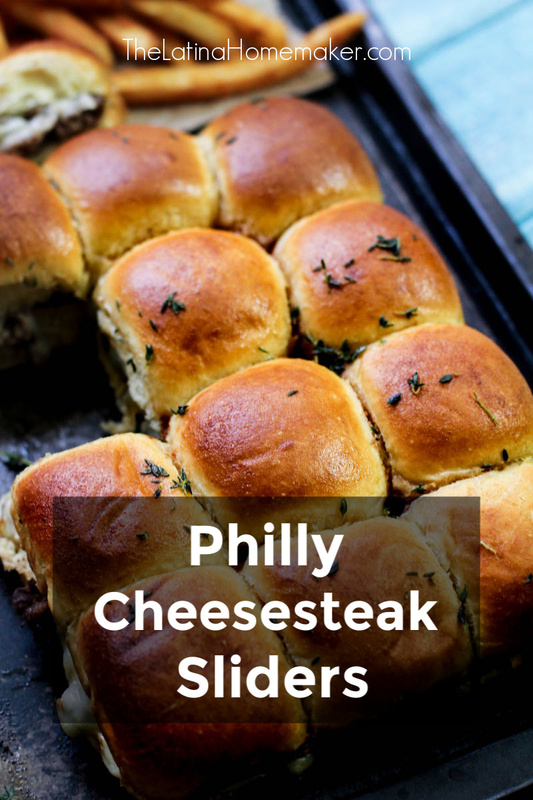 When you visit Philly, you’ll find several local eateries and restaurants that can whip up this tasty city staple. But if you’re not visiting anytime soon, I encourage you to try this crowd-pleasing alternative for your next party or family gathering. What type of steak should I use? 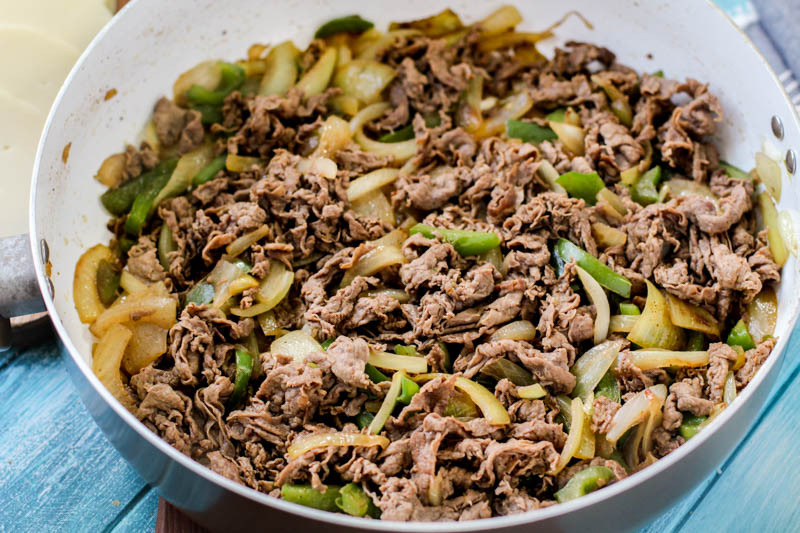 A Philly Cheesesteak is made with ribeye steak that is sliced very thin. I know some recipes mention alternative options, but in my opinion, ribeye steak is the best and only option. The ribeye steak is very marbleized which makes it flavorful and tender. In other words, don’t skimp and buy the good stuff. How to cut the ribeye steak? Depending on where you buy your ribeye, you might be able to have the store slice it for you. My local grocery store does it free of charge, as well as our local meat market. If you much rather do it yourself, I recommend freezing it a bit and then putting it on a deli-slicer for best results. If you want to chop it up even further, roll up the slices and cut them into smaller pieces with knife. 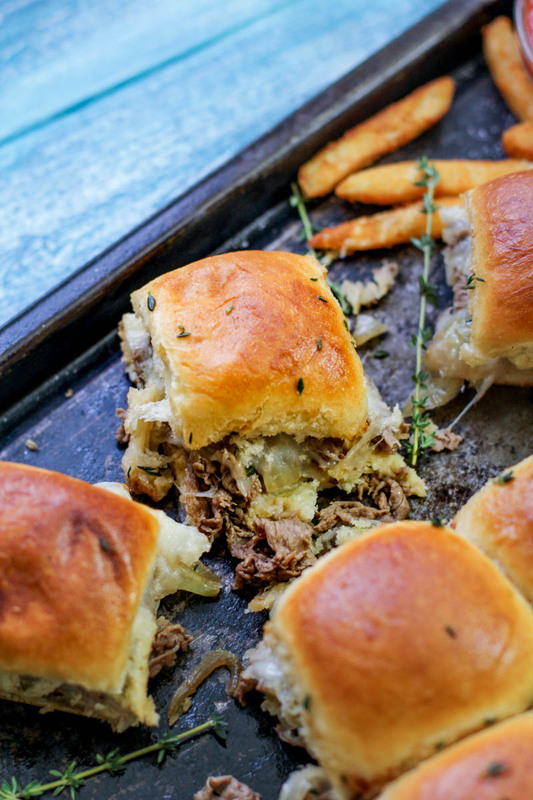 What to serve with cheesesteak sliders? Some great options include french fries, chips, onion rings, sweet potato fries, and my kids’ favorite, tater tots. 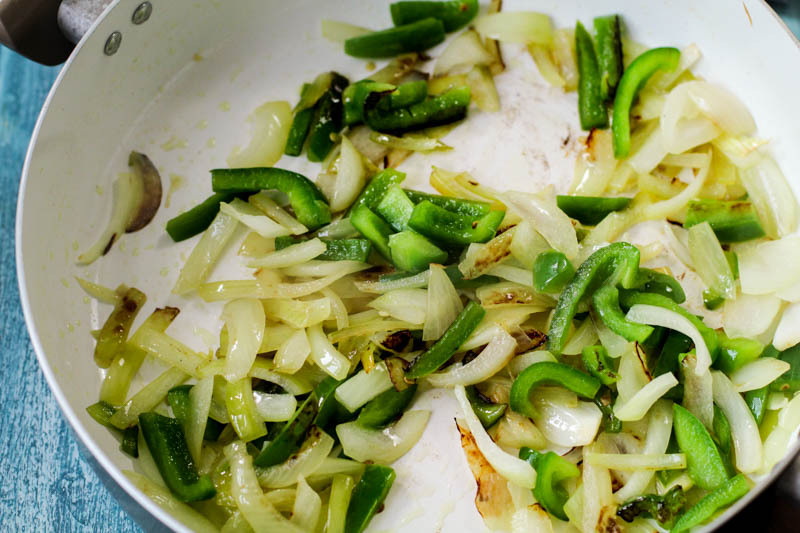 In a large pan, heat oil and add in onions and green peppers. Cook over medium high heat, stirring occasionally until peppers and onions have softened. Next, add shaved steak, Worcestershire sauce, garlic powder, and salt and pepper. Cook steak, breaking it apart with two forks to prevent steak from clumping. Cook until the steak is no longer red. Set pan to the side. 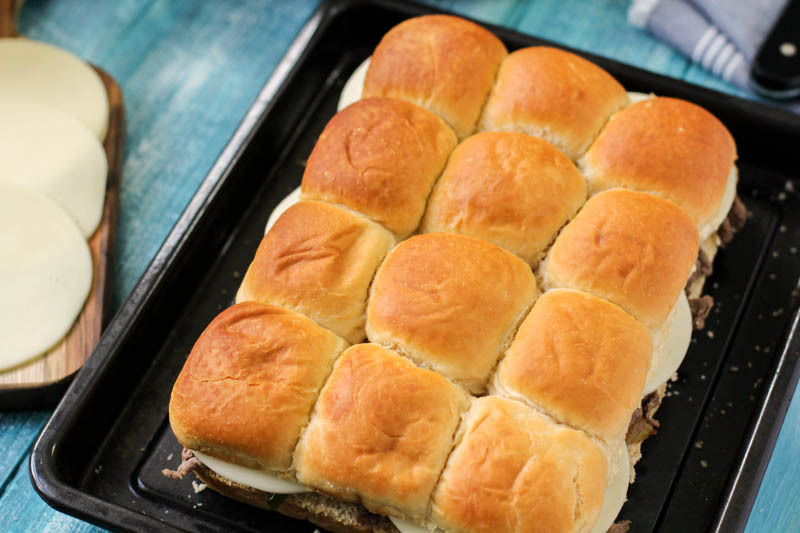 Slice sweet rolls in half horizontally, while keeping the 12 pack of buns intact. Place onto a baking sheet. Spread steak mixture over the bottom half of the buns, evenly. Top with cheese slices and the top half of the buns. In a small bowl, mix together melted butter, dried thyme, and Worcestershire sauce together. Brush butter mixture generously over the top of the buns. 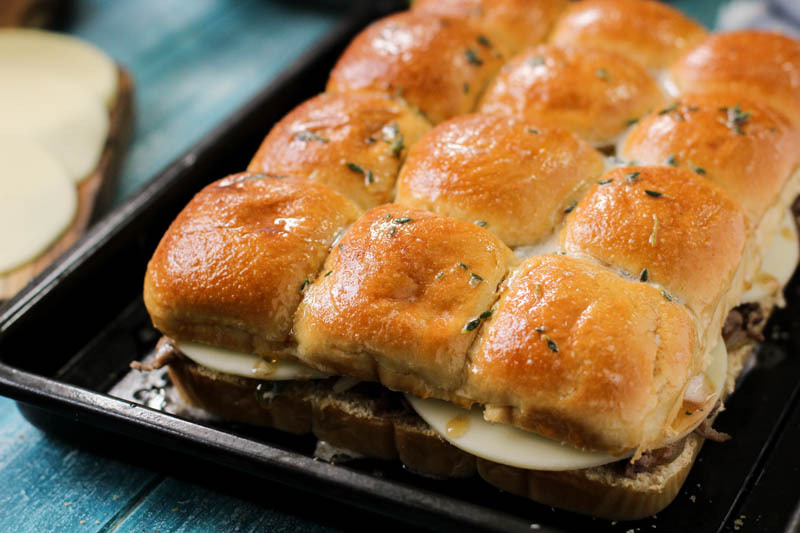 Place sliders in the oven and bake for 17-20 minutes or until the top of the buns are golden and the cheese has melted. Serve and enjoy!